It’s not uncommon to see people having fear of dentists. Kids are no different and they too have their own set of reservations and whims. They simply won’t budge and in most cases, parents may find it extremely tough to persuade them into visiting the dentist. They will come up with all sorts of excuses to avoid meeting with the dentist. This is where parents face challenges as they often find it hard to coax their kids into submission. Well, they should approach this matter a bit differently and get good results. You should never ever share with the child your bad dental experiences. This could create a lot of doubt into them and this is the reason why kids develop fear of dentist. Let them see and feel things on own and this will help a great deal. You’re not supposed to weaken them by sharing negative things about the dentist. It’s important to make the child familiar with the dentist at an early stage. This way, then can get to know, and experience, that dentists are not harmful in any way. So, your child should have seen the dentist by his/her first birthday and this would help a great deal. So, early visits are the way to go in order to make kids aware of dentists. You should look to get positive dental experience for your child. Which means, visiting a family dentist can do the trick. This is when the child will feel comfortable. Everything there will be all too familiar to keep any lingering fears at bay. It always helps a lot to take the child where relaxing dental environment is the order of the day. Things should not look old-fashioned and intimidating. Rather, the child should feel as he/she is at the coffee shop or restaurant. 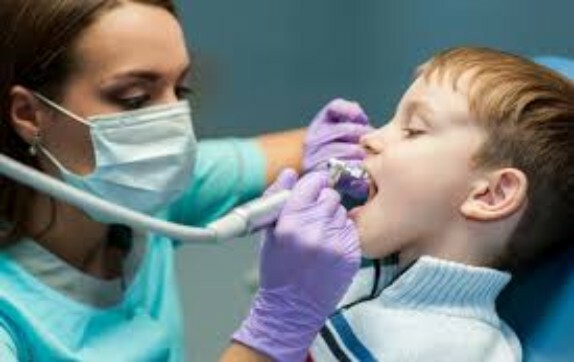 It’s always beneficial to take the child where the dentist is specialized in handling kids under 5. More so, the clinic should bear a look-and-feel that is conducive to child and their need for fun. There should be toys and the staff should look happy with beaming faces. Yes, you should always talk only good thing about the dentist. This always has a positive impact on the child and he/she starts assuming the things in that manner. If you ever try to say anything negative, this might pose a lot of problems in future particularly when you need to take them to the dentist. Your child may have some doubts when it comes to the dentist. The best strategy to remove all those doubts is by answering their questions in a positive manner. You should know what their doubts lead to or what they meant with a certain question. It would be a mistake if you left the kid alone in the clinic for even a minute. That way, they might generate some kind of fears they should never have. They may feel a bit anxious and you should understand those feelings and try to be close to them all the time. The child will need you there and you should understand that well. In overall, you should tread with caution when it comes to taking the child at the dentist. You can follow the tips above and make their visit a fear-less and happy experience for sure. Sawoni Chowdhury is an aficionado of writing. She is an expert writer and blogger and shares her views and opinions on a range of topics such as Lifestyle, Business, Entertainment, Software and lot more.